I wrote this post last year and felt like I needed to share it again this year to show our support of local florists. We must support local businesses, especially our farmers and floral resources. What better way to support our local economy and know where your gift of love is coming from. Whether it is Valentines Day, your wedding or a just because bouquet, seek a local vendor who can share with you local, seasonal beauty. You will be glad you did!! HAPPY VALENTINES DAY TO YOU AND YOURS! It’s that time of the year where we want to share flowers with those that we love…or at least, those who have the potential to be a consistent part of our lives. Whether we are a couple or happily single, do we actually consider what we are really saying when we just randomly buy flowers to make that sentimental statement??? If we can insist on having a sustainable conscience in the balance of our lives, should we not consider being sustainable and eco-friendly as we share Valentines Day sentiments?? I was a bit taken aback when I read an article in Biz Bash referencing how there is a movement that pushes us to consider local, United States grown flowers. This is called The Slow Flower Movement. A Los Angeles Times article reported that 80% of the cut flowers used in floral bouquets today, come from outside the United States. This is not a good thing, especially when there are options to change this thought process. What is a good thing is that this trend could possibly be changing. 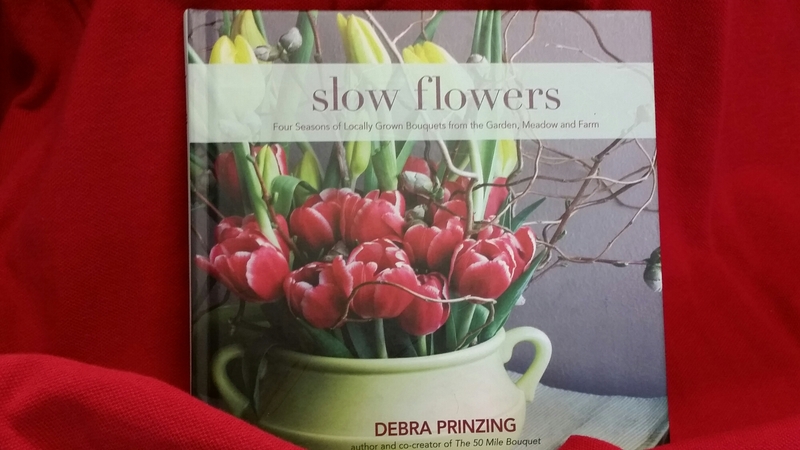 Debra Prinzing, author of Slow Flowers and co-creator of The 50 Mile Bouquet shared that the heirloom, meadow or cottage flowers are becoming popular with the more conscientious floral designers. The increase on how we buy flowers and how this affects our environmental footprint by importing flowers is becoming more unsettling to the consumer who is conscientious about such things. While there are varying opinions about this, truth be told, local flowers tend to hold up better, as there is less storage and travel time incurred. I can speak to this from personal experience. Flower people are some of the coolest, most sharing folks that I know. 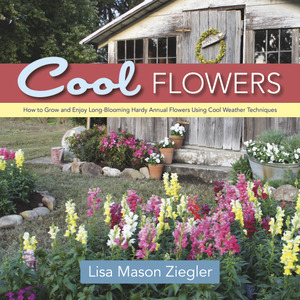 Lisa asked me if knew about a florist that was somewhat near me – Local Color Flowers, http://www.locoflo.com, that could also add some insight into this situation. Local Color Flowers is known in the Baltimore area for carefully curated and creative floral centerpieces, pop-up shops, events and classes. I spoke with Ellen Frost and she was very clear in her sentiments about this flip-flopping of where our plants are grown. Ellen has a network of local growers who supply her with fresh floral and greenery. The way that she embraces nature in her arrangements, mimics that unstructured, natural and freeform appearance. Ellen strongly believes in local sourcing and also is aware that more and more consumers are realizing that you get what you pay for. I will be following up with Ellen AFTER Valentines Day and perhaps before Mother’s Day. Ellen did ask me if I was aware that there are two local florist in the DC area that she works with as well, that use locally sourced materials – Little Acres Flowers, www.littleacreflowers.com and Buttercups Floral www.mybuttercups.com. I am sure that there may be more, however knowing that we have choices is a wonderful thing!! Consider these thoughts from the folks who grow our flowers locally as you find all things beautiful this Valentines Day!!! Well I do know that flowers that don’t have to travel from the Netherlands are more sustainable. But only if I think about it and I don’t think I ever have. The Slow Flower Movement like the Slow Food movement makes perfect sense. But when you go to a florist and what they show you is either the not-so-pretty mundane grocery store samples lilys, well I think you just escape to a beautiful garden when you are with someone who has beautiful flowers. Now that you brought this up, I will think about it in the future,i.e where to buy local flowers that are equally beautiful. It might take a little bit of repeated effort to convince small flower shops to seek out that which is local….but it seriously does just make sense!!! I know the impiortance of supporting small and local growers, so I make every effort to. Valetines Day bouquets can be elegantly crafted utilizing budding branches that will break into bodacious bloom in the weeks after Valentines Day. Now that is a special treat!!! I hope she considers finding somewhere that suports the local economy!!! Thanks for commenting!! !